Build a business, earn a degree! 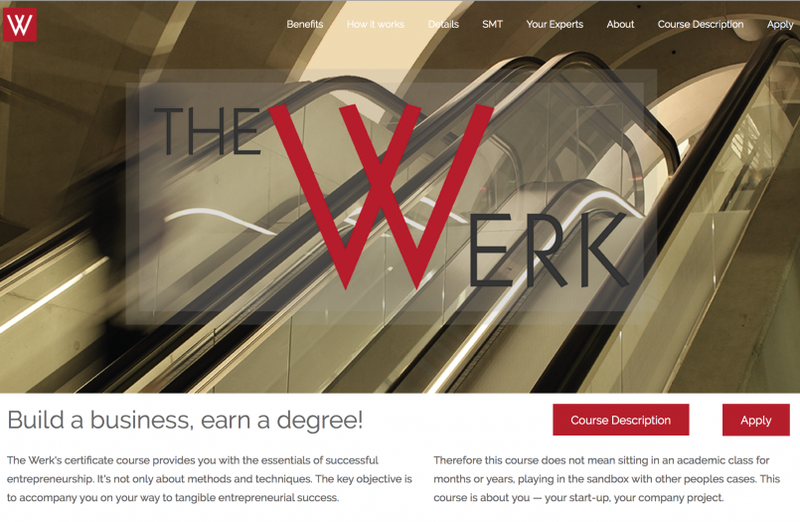 The Werk’s certificate course provides you with the essentials of successful entrepreneurship. It’s not only about methods and techniques. The key objective is to accompany you on your way to tangible entrepreneurial success. Therefore this course does not mean sitting in an academic class for months or years, playing in the sandbox with other peoples cases. This course is about you — your start-up, your company project.